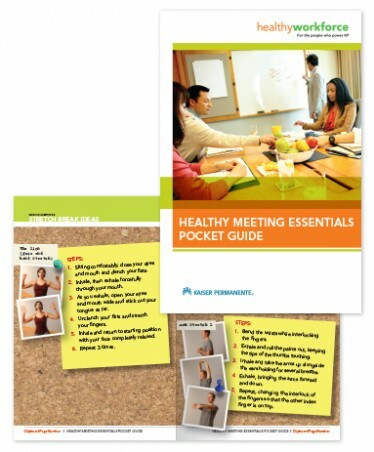 Description: A pocket-sized, 4x6 booklet to help you plan and facilitate meetings that are healthier, more productive, and more fun. You'll have 24 full color pages at your finger tips to help your team eat well, move more, go green and work efficiently in every meeting. You'll find recommendations for healthy meals and snacks, tips on creating great agendas, step-by-step instructions to lead stretch breaks and so much more. 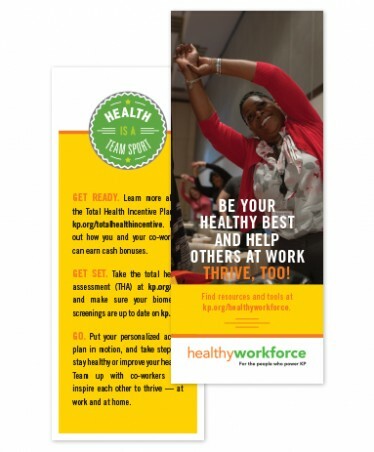 For additional, bulk orders, please contact healthyworkforce [at] kp.org. 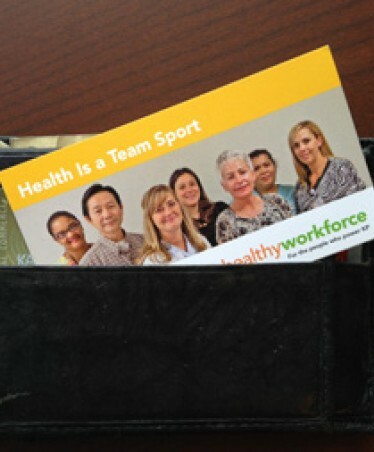 Description: Employees can use this wallet card to capture their most current biometric numbers in My Health Manager. Employees then can enter their biometric numbers when completing the Total Health Assessment to get a personalized health action plan. Description: Use this bookmark to save your place in your current "good read" and to reinforce your awareness about the Total Health Incentive Plan.